More than two years ago a large ash tree fell at the edge of Thornhill Square Gardens, destroying other trees and three metres of railings. New trees (Tulip Tree, Tibetan Cherry, Sweet Gum and Red Maple ‘Red Sunset’) were chosen and planted in the following winter, after discussions with residents; now the railings have been reinstated, using copies of the original ones (which have their own grade 2 listing from English Heritage). 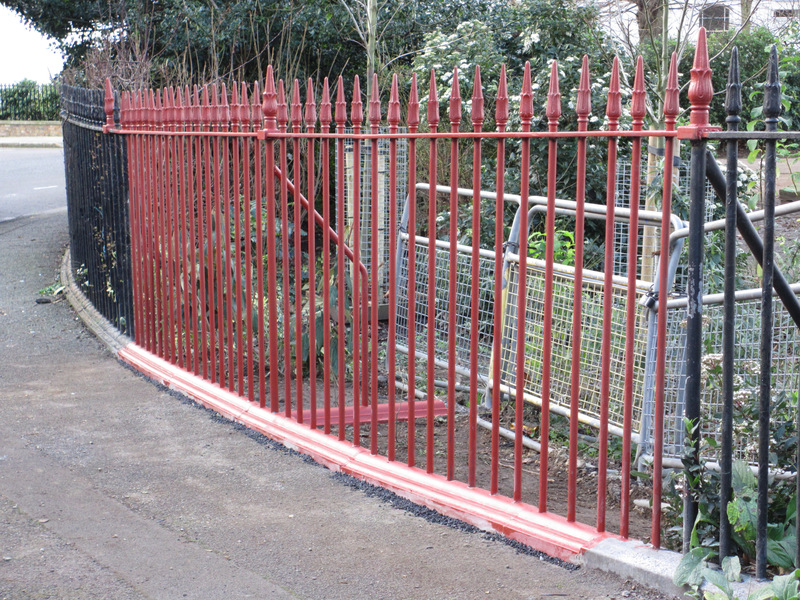 The reinstatement was delayed for various reasons; most recently, Metalcraft, the company that provided the railings, had to find a second foundry when its first choice went out of business. 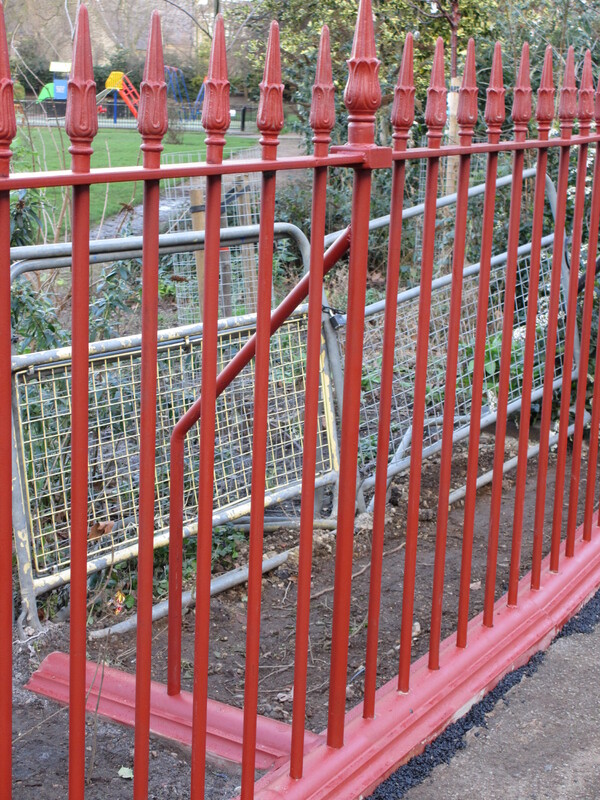 Metalcraft was selected following the suggestion of residents (especially Patrick Firebrace), who obtained quotations for the work that kept the original design but that nonetheless were much better than those made to Islington Council. Of course the railings elsewhere around the Gardens need restoration, but that is too much to contemplate in these straitened times.